Andor Widefield Confocal Revolution DSD2 System | EINST Technology Pte Ltd. The Andor Revolution DSD2 is a simple confocal device delivering extraordinary imaging performance. Laser-free and ease of retrofit to an existing fluorescence microscope, DSD2 offers an affordable confocal option for your own laboratory or core facility. The ease of use is such that you will be imaging in no time! The simple design of the DSD2 means that it can be mounted to inverted and upright microscopes and fluorescence stereomicroscopes and macroscopes. 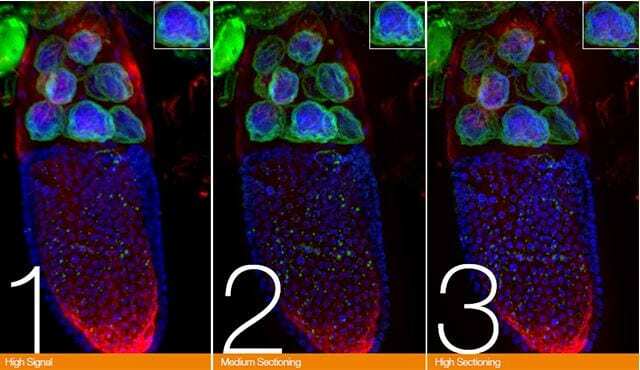 With three confocal sectioning options, you can choose the optimal setting for your sample or magnification. This makes the DSD2 probably the most versatile confocal device on the market, addressing the broadest range of sample types. With no fixed laser wavelengths to limit you, you have freedom to choose the best wavelength choice for your research. Fixed or live, there is no limit to the possibilities. With a spinning disk at its core, the DSD2 naturally captures images at higher frame rates than a point scanning confocal. A three dimensional image, at a like-for-like resolution and comparable quality, can be captured in seconds on the DSD2 compared to minutes on a point scanning confocal. This offers two key benefits. Higher throughput of samples, so increasing productivity and earlier data review; and for live samples the ability to capture dynamics in higher temporal detail for greater insight. 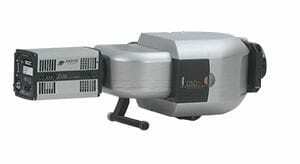 The Revolution DSD2 can be used with additional Andor devices from our Photostimulation range. For example, add a MicroPoint to combine confocal imaging with ablation, such as used in damage & repair research, or add a Mosaic 3 for fast targeted illumination to use optogenetic models with DSD2. This simple device can in fact be used for sophisticated applications, now or as your research develops. 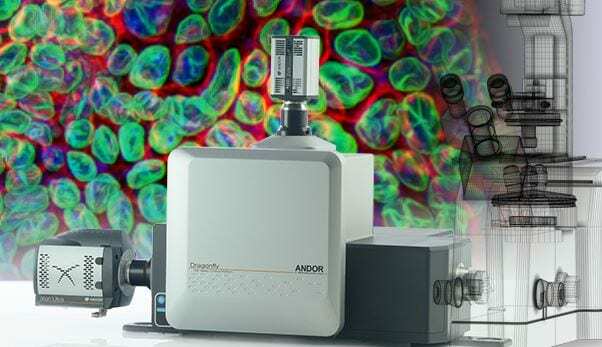 Combining structured illumination and spinning disk technologies with high sensitivity high dynamic range Andor sCMOS cameras, the Revolution DSD2 produces image quality that typically exceeds confocal images captured with laser point scanning systems. This latest generation builds on a field proven device, introducing even better performance and so even higher quality imaging. With no lasers required for the Revolution DSD2, and the simplicity of its design making it an easy device to align, there is no risk of owning a confocal device requiring regular attention to keep it operational. The benefit is worry free imaging for many years, and extremely low maintenance costs. Unique Disk Design Delivers images of high contrast with high dynamic range for outstanding results. Even with thick samples. Easy alignment and low maintenance Minimal running costs for product longevity. 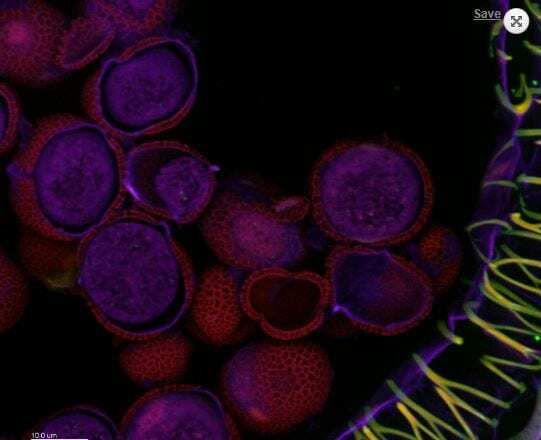 Confocal and Widefield modes Use DSD2 to image even weakly fluorescent samples which are difficult to see in confocal.